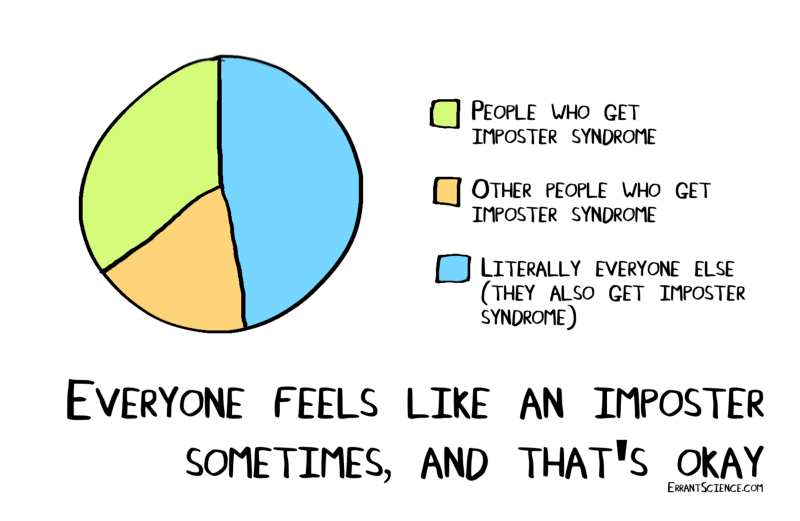 I don’t think it’s hyperbole to state that the very best of us suffer from imposter syndrome. At this point, I’ve come to believe that it’s part of the human condition, mainly if you work in any creative field. If someone claims that they don’t suffer from imposter syndrome, they probably have an ego too gigantic to admit it. And you know what? Suffering from it is okay. 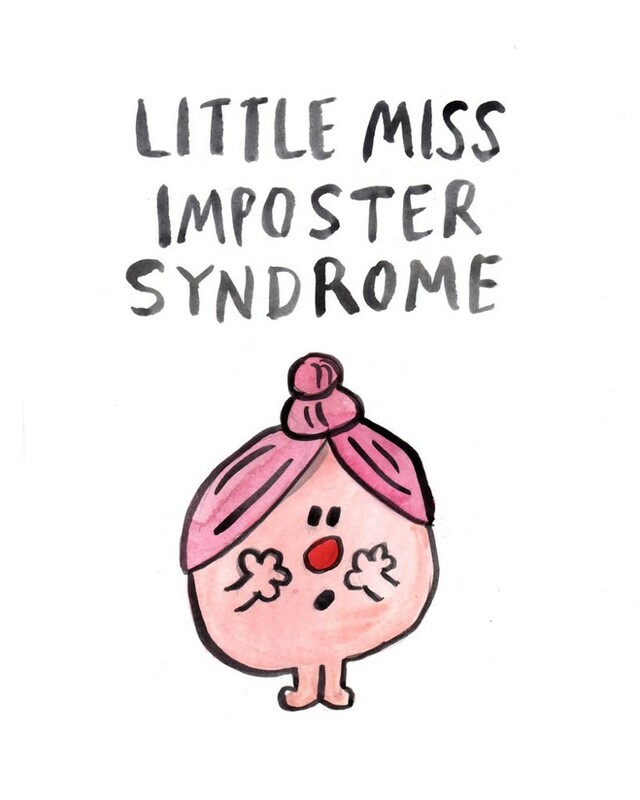 I’ve suffered from crippling imposter syndrome over the years. So I wanted to talk about some of the ways I’ve tried to tame it and how it has helped me become a better person and engineer. This was one of the issues of my newsletter “Life Reliability Engineering.” But I thought it deserved space of its own as a blog post. I can’t even begin to stress how much this has helped me. Having a handy list of tangible professional achievements that you can refer to when you feel like a fraud works wonders. Write down your accomplishments — small or big. Write down stuff you’re proud of, stuff you didn’t think you could do but did anyway and things like that. Spoke at a conference? Got a scholarship? Started a new job? Shipped something at work? Write it all down! Go back to it when you’re feeling like crap. Remind yourself that if you were a total fraud, you wouldn’t have been able to accomplish all this in the first place. Remembering that it is in your head isn’t enough, because your brain won’t recall it fast enough when it’s in imposter mode. So writing it down is important. (Side note: how, if at all, you can measure this and what does it even mean????) I guess everyone has their own timeline for this. Finally accepting it is, frankly, so relieving. And it has positive side effects! I’m nearly constantly striving to work with folks who’re smarter than I am, and accepting this has enabled me to learn better (and more!) from them! Don’t be that person who is constantly trying to prove they’re the smartest person in the room by putting other people down. Nobody likes that person. Being humble and ready to learn from other folks helps you grow better and faster. It also makes you a good co-worker. This one is a hit or miss in the sense that you don’t really realize the importance of doing this till you actually do it. Spoiler alert: it’s magical. Being surrounded by folks (friends/co-workers/community) who recognize and/or reward your work and reassure you of everything you bring to the table from time-to-time is one of the best things you can do for yourself. It’s truly hard to overstate how big a difference it makes. Invest time in this. It’s very hard to find these folks, but once you do, make sure you stick with them. This point is sort of tangentially related to the second one but still deserves its own space. There is no superhuman person out there who is good at everything. That’s simply not possible. Different people have different areas of expertise and that’s a very good thing! It gives all of us something to learn from one another and balances things out. Maybe your strength is someone’s weakness and vice-versa. Someone else being good at something that’s not your area of expertise doesn’t take away anything from you. If anything, it gives you a chance to learn something from them and improve. Recognize and celebrate that. Comparing yourself to someone who has been around for a long time is kind of like comparing apples to oranges. It’s a recipe for disaster, so don’t do it. It’s a bad idea. If you’re someone who is just starting out and you compare yourself to someone who has had a decade-long career, then, of course, they’re gonna be doing way better than you! Simply because they’ve been around much longer than you have. Of course, they’ve put in a lot more effort than you, built a solid network, spoken at major conferences and what not. (I’m not claiming that everyone does this, but simply picking one of the most common parameters people tend to size themselves up against). This is doomed even before you start doing it. Whenever you start doing this, take a step back, pause and think: is this a valid comparison? Do I need to be comparing myself to anyone at all? Am I happy with where I am? Because that’s what matters in the end. I’m a firm believer in healthy introspection, but more often than not, this isn’t healthy. Obsessing over this doesn’t really get you anything when all is said and done. Mostly there are no concrete takeaways. You end up being miserable and down, feeling like a fraud and no matter how much you do, it’ll never be enough. You don’t need or deserve to feel that way. Following this chain of thought is probably not a good use of your time because it doesn’t do anything to actually help you fix anything. Your time will be better utilized in doing or thinking about something more meaningful and actionable. Acknowledging that can at least help you not descend down the “thinking rabbit-hole”. I can go on writing about this topic endlessly because I’ve battled with it a lot over the years and I know it’s not a battle that’s going to end any time soon (or possibly ever!). So, for now, I’ve been trying to devise ways to deal with it so that I don’t waste time doing this. Instead I put my energies into being the best software engineer I can be. 💪🏼 It has been working out well so far.